Kiwa from Finland is back! Kiwa is Make Louhio and Matti Elsinen, who has prooved in several releases that they are masters at progressive trance and psychedelic breaks. Now they are out with a new 12inch on Exogenic Records. The two tracks we get here are pure progressive trance tracks. Phat Cat is funky as hell, with groovy beats, good variation and a nice selection of sounds. Should be a smashing hit on the progressive trance dance floors worldwide. 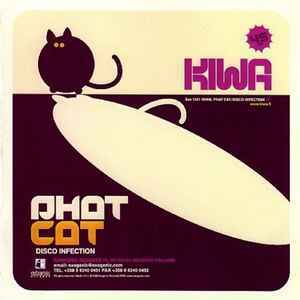 The Disco Infection track is a pumping track that become even more funky. Still, pretty psychedelic, with rough sounds, mystic echo effects and drifting vibes. You also get some funny vocals in this one. A nice teaser for more funky progressive tracks to look forward to.